Daryl Johnson (Worcester Park, United Kingdom) on 11 December 2008 in Documentary & Street and Portfolio. A nice contrasty image. I like it. Nice streetshot with a fine contra-light. Bye. The light on the tiles is lovely, as is the light through the umbrella. @Cheryl: Thanks Cheryl! I think he's looking the other way actually...! 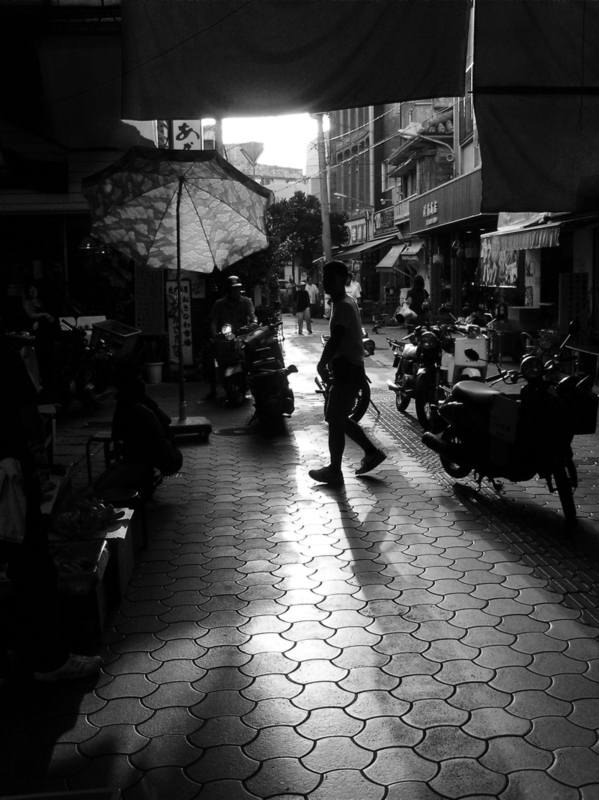 Very good street shot with silhouettes, I like the contrast of the pavement. B&W is a good choice.